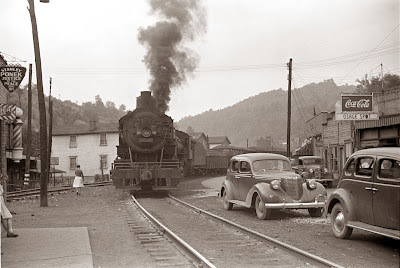 Today’s picture shows Osage, West Virginia, a coal town. The picture was taken in 1938, and shows a train pulling a load of coal through the center of town. This is a great picture of the center of town. Esta entrada fue publicada en fotografía histórica. Guarda el enlace permanente.